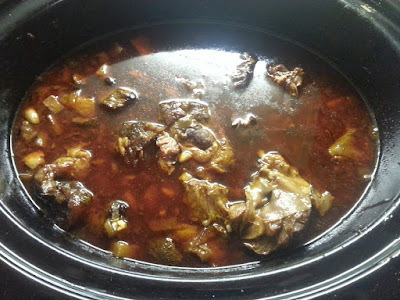 For Christmas day, I wanted to make something hearty that would require slow cooking for several hours on my day off. 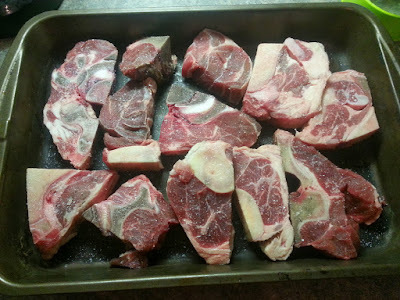 I went to the store initially looking for a roast but came across some lovely beef shanks and beef neck bones. The bones and the fat content will provide a flavorful, luscious broth. First, I wanted to sear the meat on all sides and to get a base of flavor going. 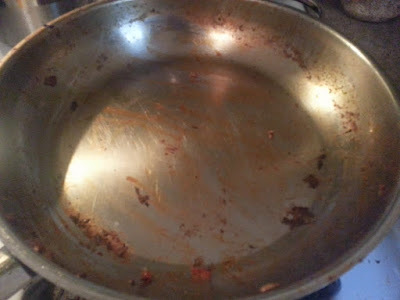 I patted the beef dry and sprinkled with salt. ﻿I seared all the shanks and beef neck bones in a hot pan, I had to do it in a few shifts, but eventually I got some nice caramelization on the meat. 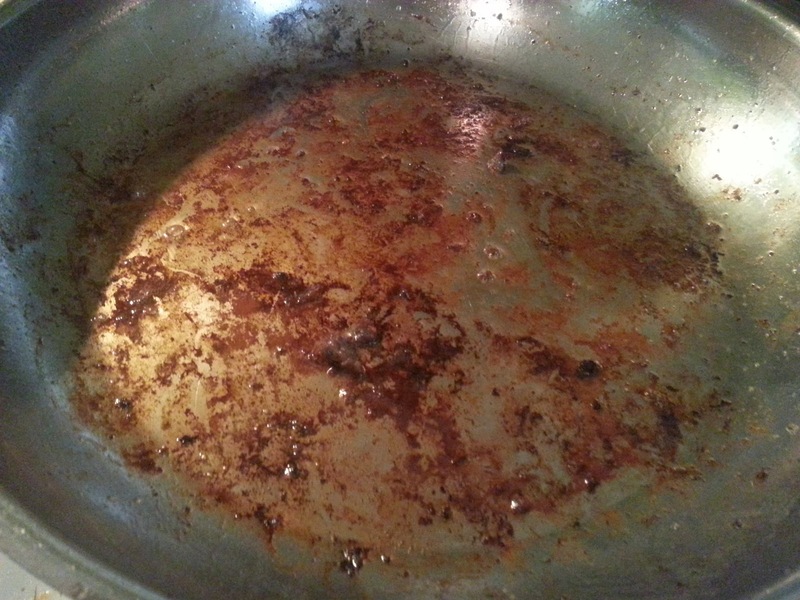 After removing the meat, I had a nice layer of caramelized bits in the pan which I used as the base for the braising liquid. 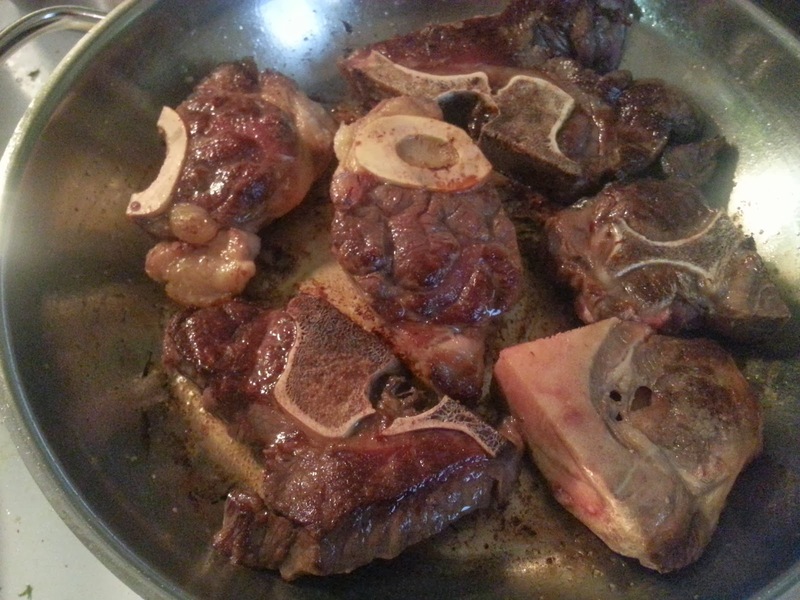 I began by sauteeing garlic, onions, and celeriac in the beef fat. I added cumin, ancho chile powder, Mexican oregano, and by leaves to the pan as well. 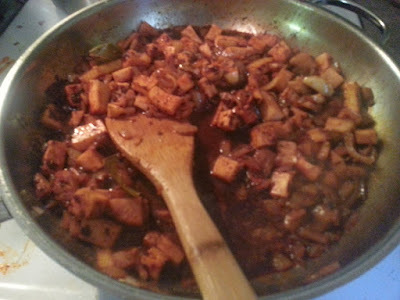 I let the veggies cook for a couple of minutes before throwing in some red wine to deglaze the pan. I served the beef very simply, in a bowl covered with broth. 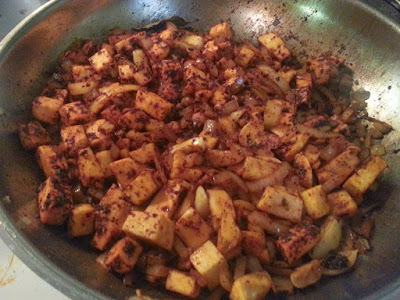 I added a splash of apple cider vinegar and some chopped white onion to help with the richness of the dish. 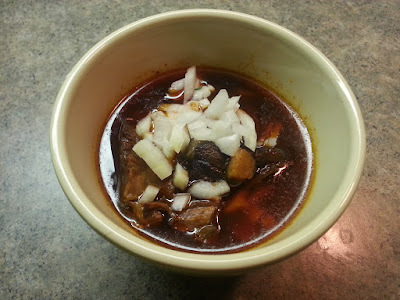 My recommendation (and plan for tonight) for this would be to skim some of the fat off and serve topped with onion, cilantro and a nice squeeze of lime juice. This is a perfect winter dish to eat with some hot, rolled up tortillas.